Merry Knight works as a temp for Matterson Consulting to save money for college tuition. With the company facing a major deadline on a report due before the Christmas holiday, overtime has become standard procedure. Adding to the stress is a boss who is a workaholic with little sympathy for employees who deviate from the rules. Merry also worries about her mother whose multiple sclerosis is worsening, and she is protective of her eighteen-year-old brother, Patrick, who has Down syndrome. But the concern is not one-sided. Merry’s mother and brother are concerned about Merry’s lack of a social life, so concerned that they sign her up for an online dating service for her birthday and give her the gift in advance of her December 26 birthday. Merry is not thrilled with the gift, but she is too fond of her brother to dampen his enthusiasm. With Merry Smith as a pseudonym and a picture of Patrick’s dog Bogie on her profile, Merry is officially part of Mix & Mingle for six months. Jayson Bright is vice-president of Matterson Consulting. With an eye on becoming company president when his uncle retires, Jayson is doing all within his power to see that the big project for Boeing Company comes in on or before the deadline. His business has become his life. When his cousin and best friend, Cooper, shows up in Seattle to ask Jayson to be his best man at his wedding to an old friend whom he met through Mix & Mingle, Jayson decides to sign up for the service with Jay as his pseudonym and, inspired by Merry’s photo, a photo of his childhood golden retriever, Rocky, as his picture. Jayson is still skeptical, but he wonders if “Merry Smith,” like him, is hoping to meet someone who wants to be valued for who she is rather than what she looks like or the size of her bank account. Based on this hope, Jayson sends her a “wink.” At Patrick’s urging, Merry responds, and soon Merry and Jason become online friends whose nightly chats become increasingly important to them. Of course, problems arise when they meet and real identities are exposed. 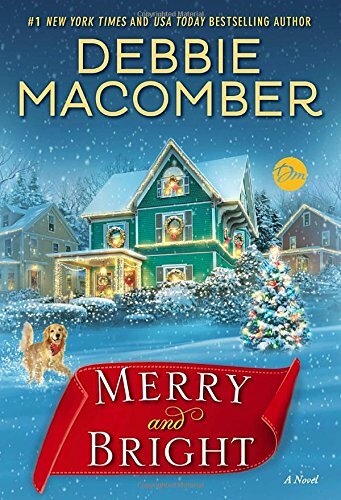 Debbie Macomber’s annual Christmas novels have become a holiday tradition for many romance readers. Merry and Bright is a sweet addition to Macomber’s long list of Christmas stories. Merry and Jayson are opposites in many ways. A holiday baby christened Merry Noelle, Merry loves Christmas and all the decorations and festivities. Jayson belongs to the Bah-Humbug group who sees Christmas as an interruption of work. Merry bakes Christmas cookies for all the people who render her service in her daily life. Jayson “gave at the office” and wants a homeless man out of sight. Merry is part of a close, loving family and has lovely memories of family-centered Christmases. Jayson grew up in boarding schools and summer camps, distant from his divorced parents, with Cooper as his only real family. Christmas brought lavish gifts but no memories to cherish. Part of Jayson’s attraction to Merry is based on how her very different upbringing has shaped the person she is. Macomber gives her characters an ending sure to please the most Christmas-addicted Scrooge fan. The romance in this one is predictable from the beginning, but that predictability will not lessen its charm for Macomber’s large and loyal fan base. Others may find that the greater charm lies in the author’s portrait of a close-knit family who face adversity with courage and whose celebration has more to do with the love they share than with the presents they wrap. 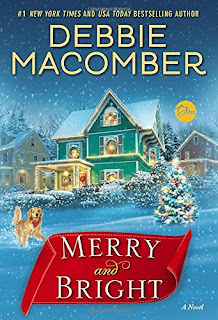 If you have enjoyed Macomber’s other Christmas romances or if you are a reader with a fondness for kisses-only romance with traditional Christmas themes, you should add this one to your reading plans for this holiday season. Can't wait to read this..On the waiting list at the library.. #117.. I got an early copy of this thru Goodreads - enjoyed it very much - loved the portrayal of Merry's brother Patrick - perfect Debbie Macomber Christmas story. I always look forward to Debbie's new Christmas books. Her Christmas stories are always heartwarming and tender and filled with all types of love. I always enjoy Debbie Macomber's Christmas stories. They're one of my reading traditions. I enjoyed this story. I loved Patrick, Merry's brother. It was a good one to start my Christmas reading season. Sounds like another winning Christmas story by Debbie Macomber. They are usually heartwarming and filled with love. I always look for Macomber's Christmas books. Yes, they are not complex stories and are a bit on the predictable side. They are, however, enjoyable, easy reads - perfect for this hectic time of the year.